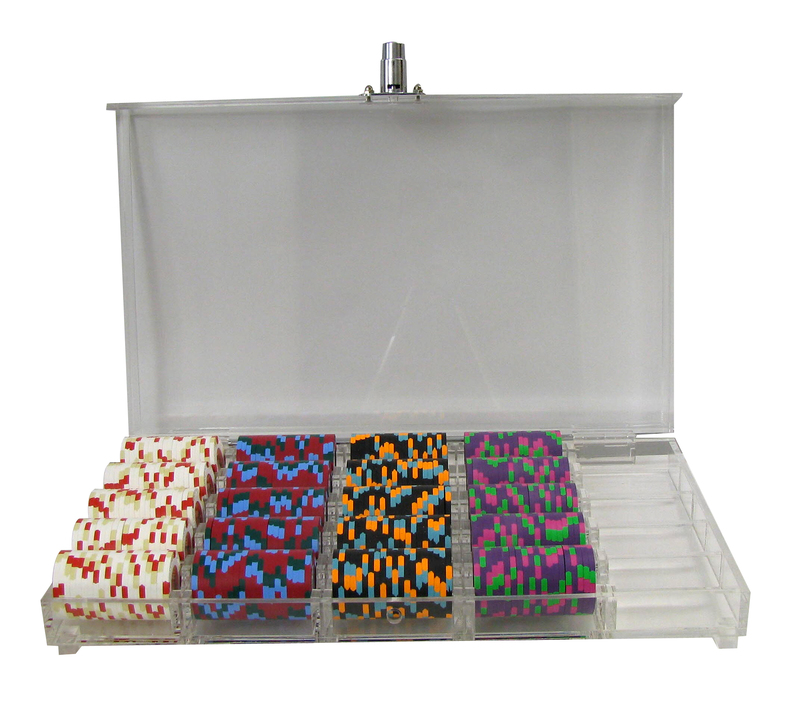 Beautiful Acrylic briefcase full of admiration for your chips while protecting them (closing key) This case can accommodate up to 500 chips 39 mm arranged in 25 rows of 20 chips. 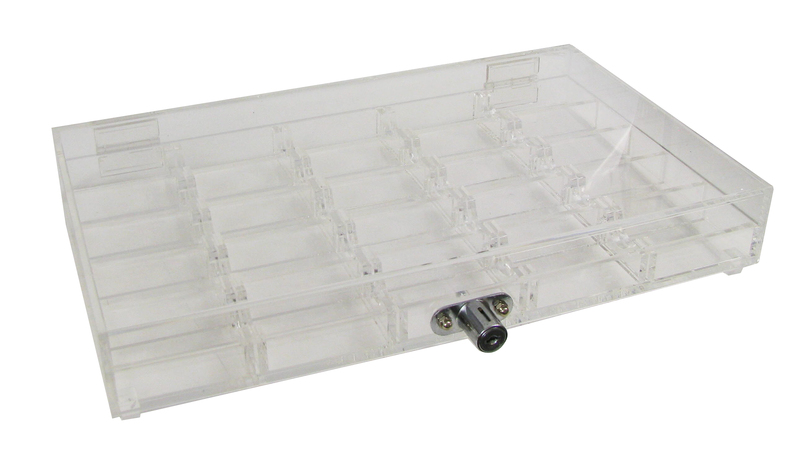 Enhancers are located under the front of the case to facilitate the opening thereof and to improve the overview of chips. 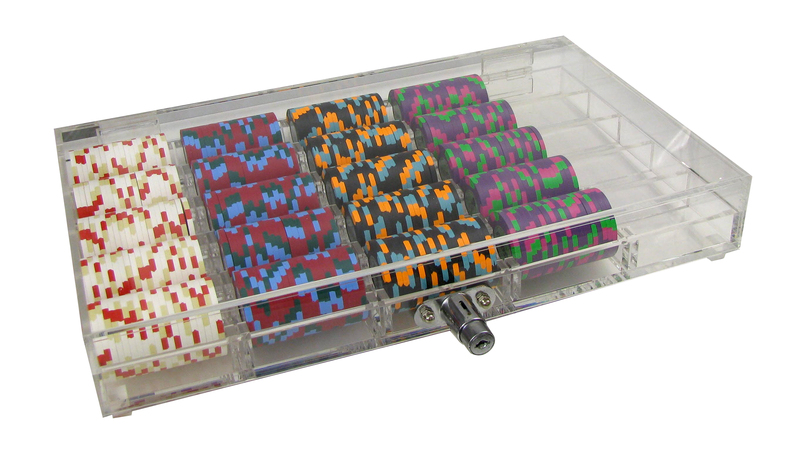 More info about Empty transparent Acrylic poker case 500 chips ?